Nakilah Shannon is an inspirational writer and speaker who enjoy being a humble Ambassador for Christ. 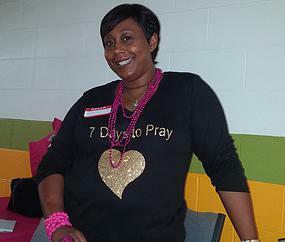 Sharing her testimony and lending a helping hand to other women as well as her community is her life’s purpose. Through her leadership and ministry, Hagar’s Fountain of Hope Inc, Minister Nakilah meets the needs of local single mothers and women by empowering, encouraging, educating, and edifying them even during the most devastating hardships. As a mother of three, she knows first-hand the difficulties that single mothers face.